One of my daughter’s favorite wintertime activities is to go ice skating. I took her ice skating for the first time when she was about 4. There was an indoor ice rink close to our house, and our church group when one afternoon. It was so cool, because they had buckets the little ones could hold on to while they skated. Then, we moved to TX where hockey was popular. There was a rec center with a rink where many of our friends hosted birthday parties. We attended many of those over the years, and Emma got a little bit better every time. Now, we’re in Ohio, and we have an outdoor rink about a half hour from here. I took Emma to it last year, and she had a blast. We won’t be going this year, because she’s trying to overcome a couple of dance-related injuries, but we’re really looking forward to visiting again as soon as she’s strong enough. Angelina Ice Skates – Angelina is busy preparing for the Ice Dance with her friends Alice, Flora, and Felicity. Cousin Henry tries to help too, but nothing goes right. And the rehearsals are disrupted when two big boys from school tease the ballerinas. More than a few snowballs fly before Angelina finds a way to ensure the success of the show. Eloise Skates! – On a very cold, very snowy winter day, Nanny decides to take Eloise and Weenie ice-skating! But can dogs ice-skate? Duck Skates – It’s snowing! Five little ducks can’t wait to go out and play. They pull on their bright new boots and race outside for a day of snowballs and skating. When evening comes, the tired ducklings are happy to find the perfect toasty ending to their busy day. Snowflakes and Ice Skates -A counting book that describes winter related items and activities. Bella Gets Her Skates On – When Daddy Rabbit suggests skating on the frozen lake, Bella’s big brother and sister are excited. But little Bella is nervous. What if she falls over and everyone laughs at her? Gently encouraged by the others, Bella gains confidence and steps out onto the ice—and discovers that she loves skating! Dream Big, Little Pig! – Poppy is a waddling, toddling pig with big dreams. She wants to be a star! But she soon discovers that’s not as easy as it sounds. It’s only when Poppy feels the magic of gliding and sliding, swirling and twirling on ice that our most persistent pig truly believes in herself: Poppy, star of the rink! Pinkalicious: Pink Around the Rink – After Pinkalicious colors her white ice skates with a cotton candy pink marker, she feels ready to spin, glide, and soar with the best of them. But as the color starts to run off of her skates, she is embarrassed. When Pinkalicious thought she was going to leave her mark on the skating rink, she didn’t mean it so literally. . . . I Really, Really Need Actual Ice Skates – When Lola goes ice-skating with her friend Morten, she absolutely and extremely must have her own skates so she can be the very best skater in the whole school. Charlie reminds her that her guitar and yo-yo-which she really, really wanted-ended up unused in the closet, but she is certain this time is different. Will Lola still be enthusiastic when skating turns out to be trickier and more wobbly than it looks? 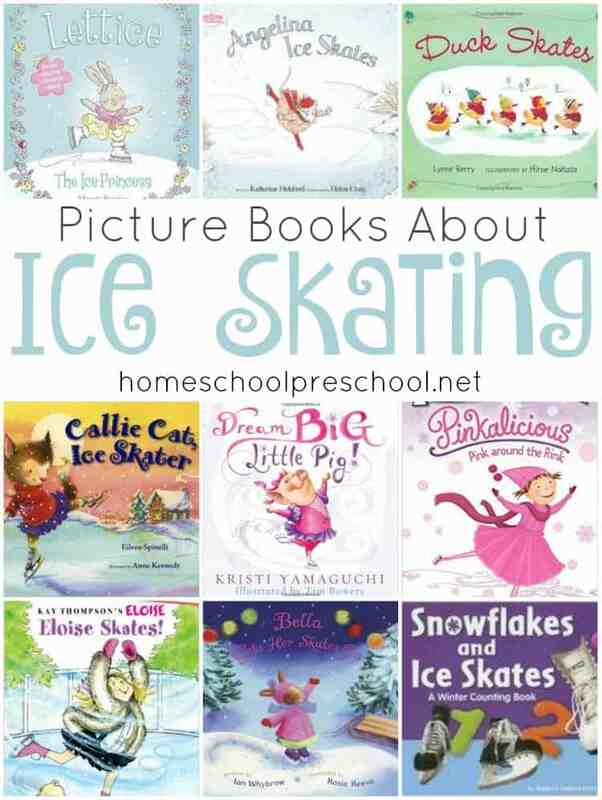 Callie Cat, Ice Skater – Day and night, Callie Cat ice skates on the pond in her backyard. She loves to ice skate, loves it more than chocolate cake, more than going to the mall–more than her friends can understand. That is, until the Honeybrook Ice Rink announces a contest, and everyone thinks it could be Callie’s big chance! Now Callie practices day and night. She wants to win the big prize . . . doesn’t she? I’ve joined a large group of bloggers to present you with a multitude of holiday and winter-themed books. 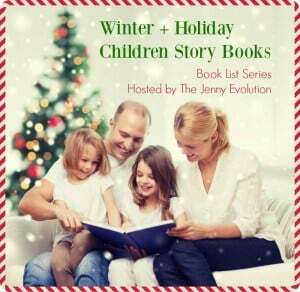 Hop on over to the main page at The Jenny Evolution to see the other lists. There’s something on there for everyone!